Good news for international players wanting to try the time-shifting Metroidvania Timespinnner! It is now playable in seven new languages on the PlayStation 4 and PlayStation Vita. If English isn’t your jam, you now have the option to play in Brazilian Portuguese, French, German, Japanese, Russian, Simplified Chinese, and Spanish! With a lore-heavy game like Timespinner, it is a change that will surely be greatly appreciated. While it’s an update that’s not necessarily surprising, especially in an age where many games get simultaneous international releases, what is surprising is how long it took to implement the change. It has arrived almost six months after Timespinner’s initial release. Game localization is more difficult than it seems, as detailed in the blog post making the announcement. 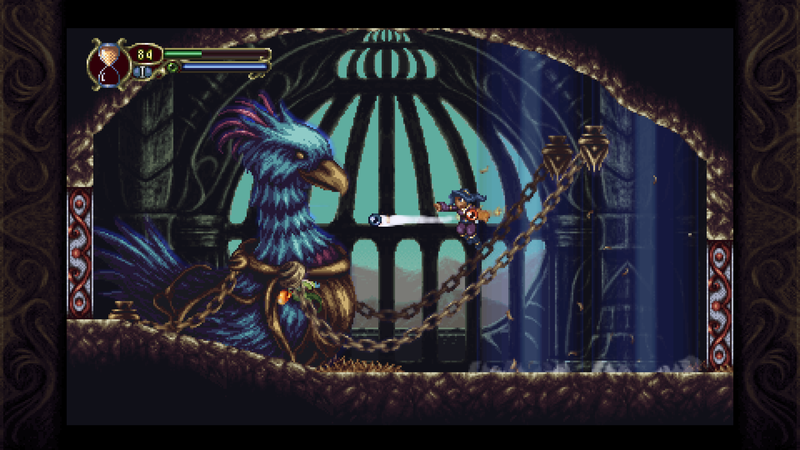 As Timespinner was developed by the one-man show at Lunar Ray Games, the undertaking is admirable. If you’re unfamiliar with Timespinner, it is a 2D Metroidvania centering around Lunais, a “Timekeeper” who has the power to control time. When her village is attacked, she must try to rebuild the titular Timespinner to stop an evil empire. Of course, this is far from the first time Timespinner has seen some tweaks. Unfortunately, the Vita version had some notable issues that were acknowledged, while plans to fix them have been put in place. However, despite the issues, our review of Timespinner (on the PlayStation 4) was highly positive. Timespinner is available now for the PlayStation 4, PlayStation Vita, and PC. Does the promise of playing Timespinner in other languages inspire you to finally try it out? Let us know!